DESCRIPTION Stunning home in Kings Heights! This significantly upgraded home sits on one of the largest lots in the community, with gorgeous views of the pond! A perfect home for entertaining, with open floorplan featuring showstopping 22' fireplace, 2 storey windows, and chef's kitchen with gas cooktop, built-in oven and oversized quartz island. Beautiful rustic hardwood flows throughout, along with 8' doors, 9' ceilings, plenty of custom millwork, and in-ceiling speakers to mention a few upgrades. Upstairs the master retreat boasts vaulted ceilings and a luxurious ensuite housing an amazing oversized shower with body sprays and dual showerheads, dual sinks, and freestanding soaker tub. 2 additional generous bedrooms, a bonus room, convenient upper laundry and full bath (with granite counters & heated floors!) completes the upstairs. The walkout basement is bright and ready for your development. Outside enjoy the full-length dura-deck with privacy glass, or covered patio below with aggregate concrete & hot tub rough-in. The HUGE pie lot is beautifully landscaped with low-maintenance trees & shrubs, has in-ground sprinklers and accesses the walking path. This home also features a TRIPLE heated garage (tandem). King's Heights is a fantastic established community with everything at your fingertips, from shopping & restaurants, to schools and quick access to the highway. Check out the supplements for a full list of upgrades! 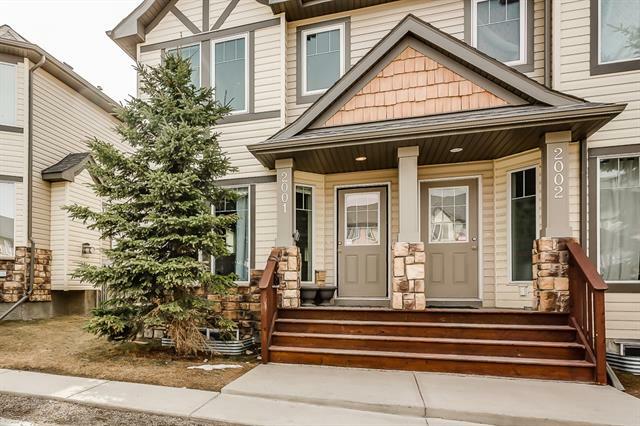 Home for sale at 161 Kingsmere Cv Se Airdrie, Alberts T4A 0S5. 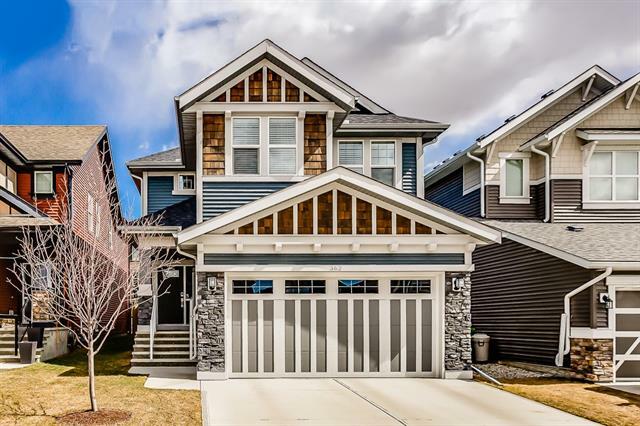 Description: The home at 161 Kingsmere Cv Se Airdrie, Alberta T4A 0S5 with the MLS® Number C4199197 is currently listed at $749,900.